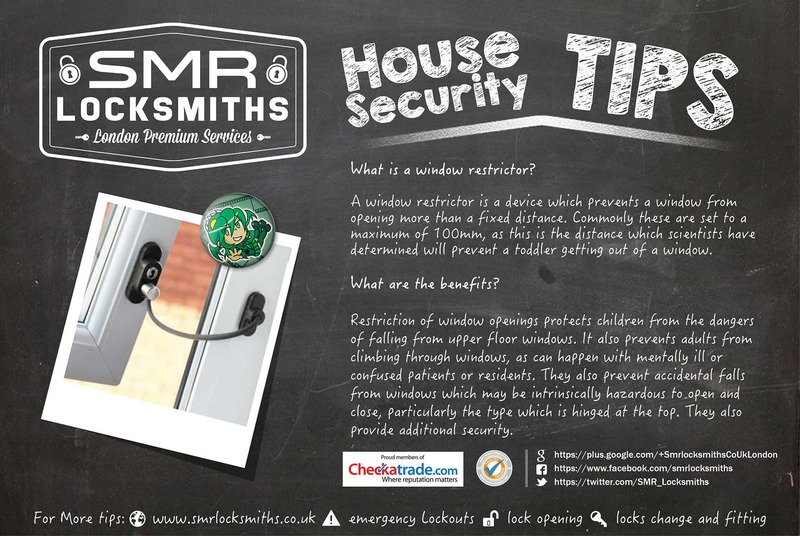 What is a window restrictor? A window restrictor is a device which prevents a window from opening more than a fixed distance. Commonly these are set to a maximum of 100mm, as this is the distance which scientists have determined will prevent a toddler getting out of a window. Restriction of window openings protects children from the dangers of falling from upper floor windows. It also prevents adults from climbing through windows, as can happen with mentally ill or confused patients or residents. They also prevent accidental falls from windows which may be intrinsically hazardous to open and close, particularly the type which is hinged at the top. They also provide additional security.